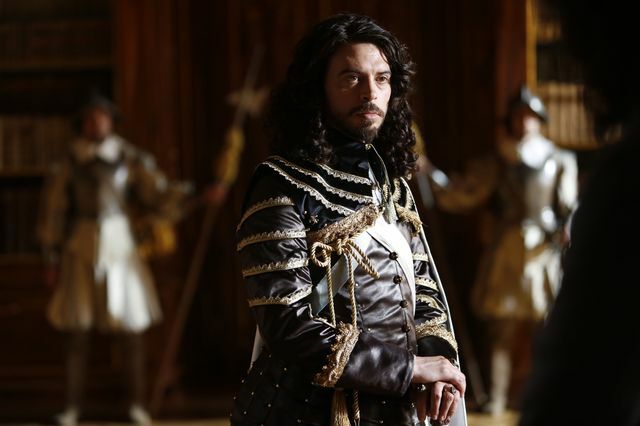 The latest episode of The Musketeers opened up four years after the previous series on the battlefield as the French faced off against the Spanish. 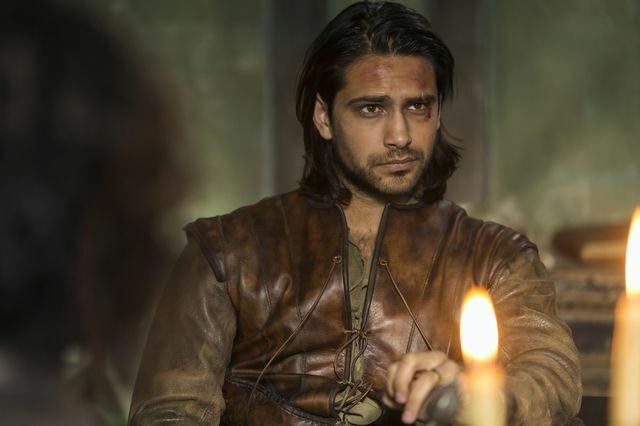 Athos (Tom Burke), D’Artagnan (Luke Pasqualino) and Porthos (Howard Charles) were all fighting on the frontline. The French were suffering heavy losses from the Spanish artillery and struggling to fight back as their gunpowder delivery had gone missing. The Musketeers managed to rally their troops and eventually break through to take out the Spanish cannons and win the battle. 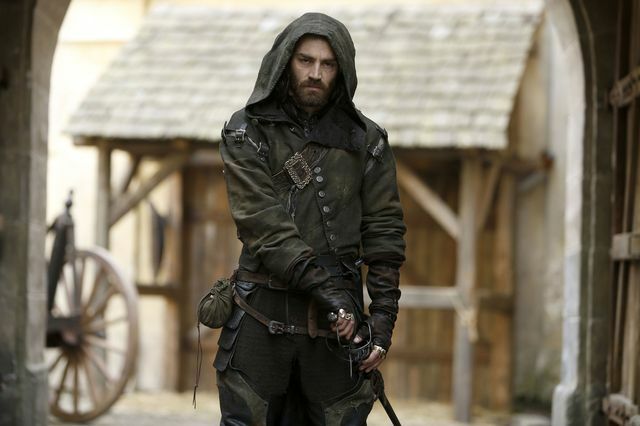 Since leaving the Musketeers, Aramis (Santiago Cabrera) had spent the past four years living his life as a monk. 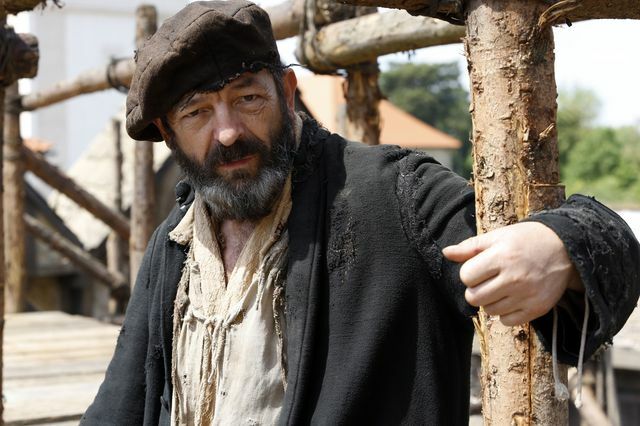 Everything changed for him when the band of men led by the gangster Lucien Grimaud (Matthew McNulty) turned up at his monastery with the stolen gunpowder. Grimaud swiftly killed the Abbott (John Woodvine) before taking the other monks, and anyone else they could find, captive. Aramis managed to keep the children safe and hidden with the help of an older boy named Luc (Sam Clemmett). Luc managed to get away from the monastery using a secret tunnel to the woods outside. 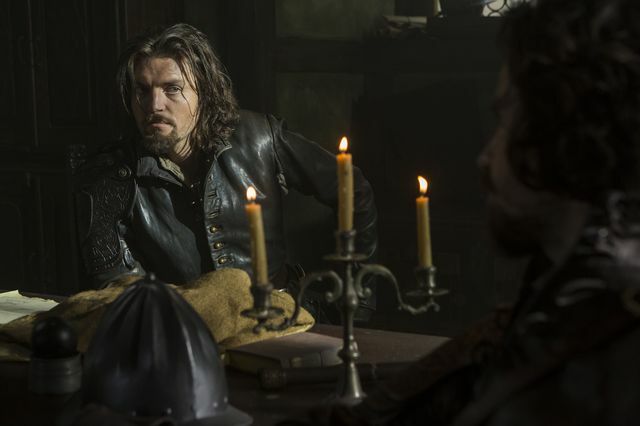 As he ran away he stumbled upon Athos, D’Artagnan and Porthos who were out looking for the missing gunpowder. Luc appealed to them for help and helped them sneak back into the monastery via the tunnel. Inside he took them to where the children were hiding and they reunited with Aramis. 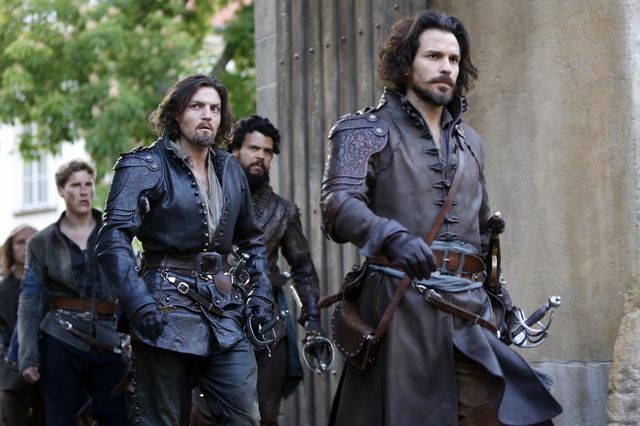 They were all very happy to see each other although Porthos was a little upset with Aramis still for leaving them. Under the cover of darkness they were able to help the children and monks escape with Aramis. Grimaud’s men eventually realised they had gone and went in search of them. They soon tracked them down and Aramis used his skills to fight them. The Musketeers had decided to stay behind to try and keep the gunpowder safe. Eventually they got it away from the monastery but not without being pursued. Aramis turned up to help and he and Porthos dropped the gunpowder cart off a bridge and blew it up. After returning the monks and children to the monastery they left for Paris. 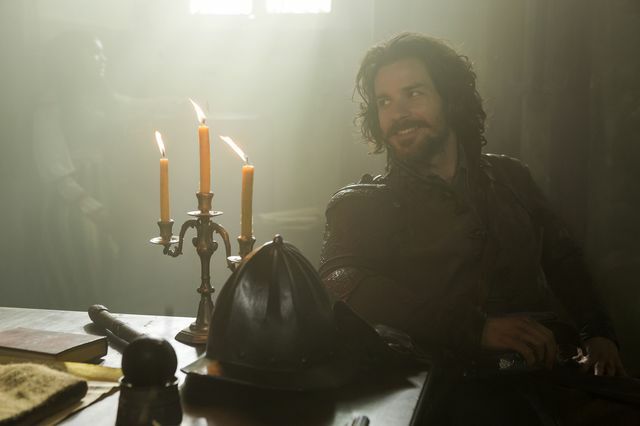 Of course Aramis had also decided to rejoin the Musketeers. 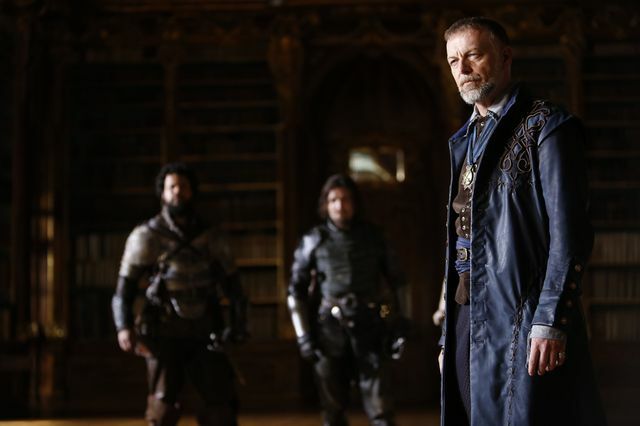 Back home the Musketeers were reunited with Treville (Hugo Speer) who has turned politician and is now the King’s Minister for War. 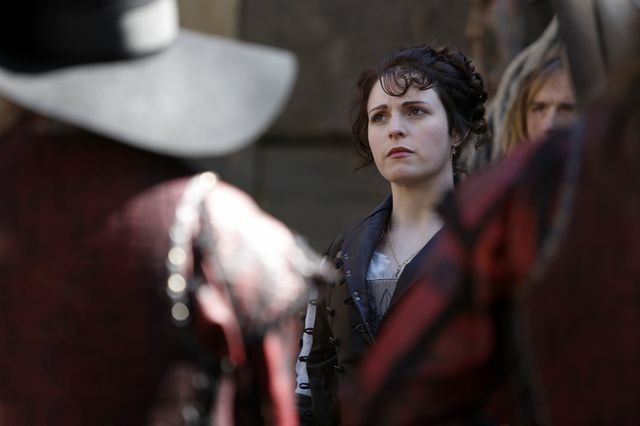 D’Artagnan was also reunited with his wife Constance (Tamla Kari) who now runs the Garrison. 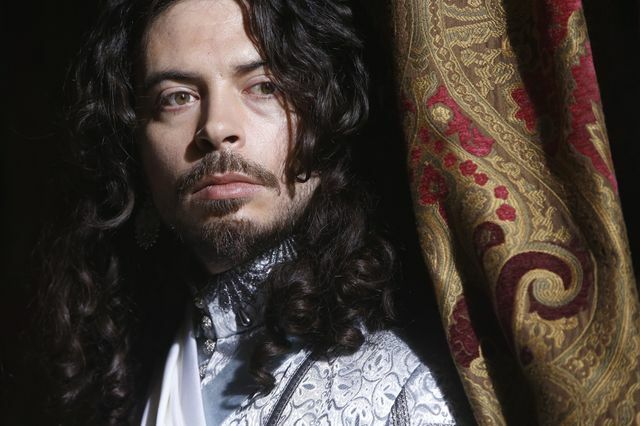 Elsewhere in the episode, King Louis XIII (Ryan Gage) remains as dim-witted as ever and now spends his time with the Dauphin. He gives him endless treats and his latest was a miniature pony to learn to ride. 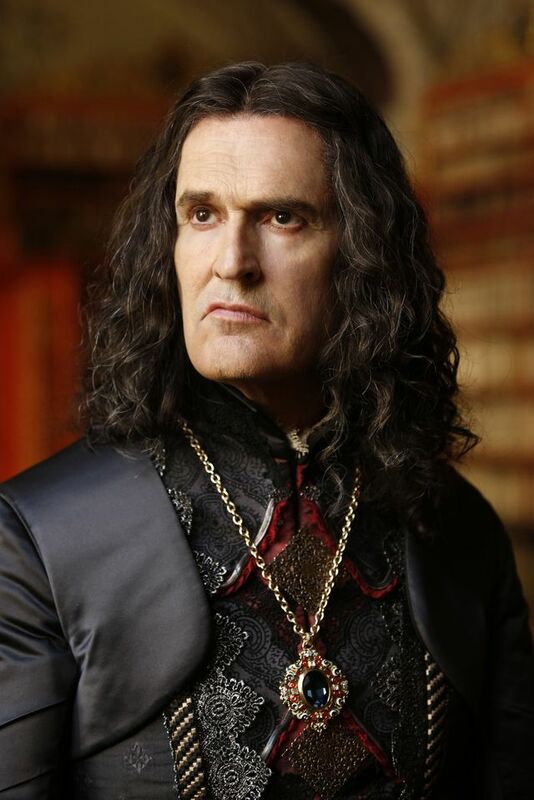 We also discovered that Grimaud is not the only new villain. Governor Feron (Rupert Everret), is the King’s favoured half-brother which makes him quite untouchable. He controls the Red Guard and had a run in with Treville for taking bets on fights between the new recruits versus the experienced guards. 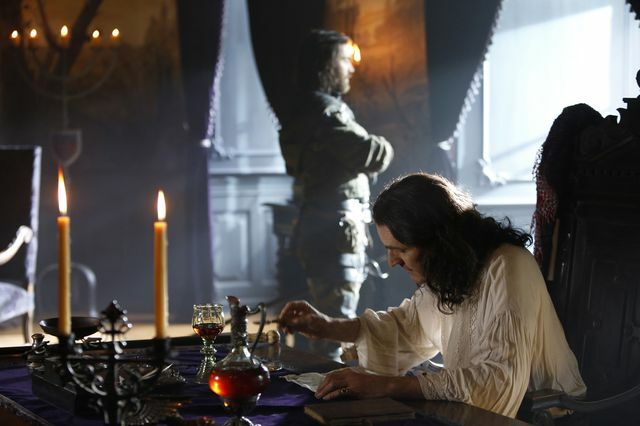 Captain Marcheaux (Matt Stokoe) also looks like he’s going to be trouble for the Musketeers and Constance. The next episode is The Hunger. With Paris on the brink of starvation, Grimaud and Feron join forces with the Duke of Beaufort to win the king’s business by framing the city’s refugees for grain theft. D’Artagnan’s hot temper makes him a Red Guard target and lands him in the chatelet with the victims, whose execution date looms. 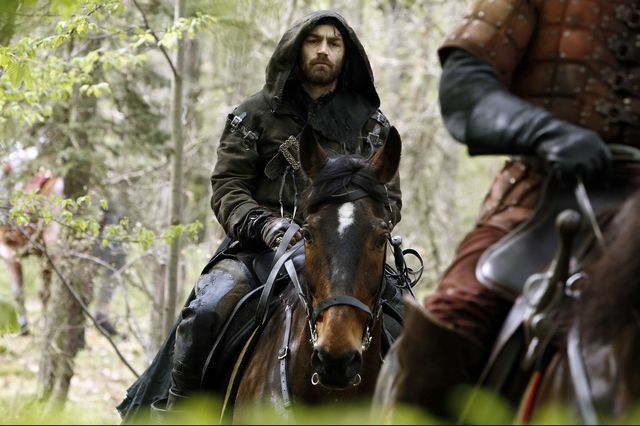 One man down, the musketeers race to discover the truth. 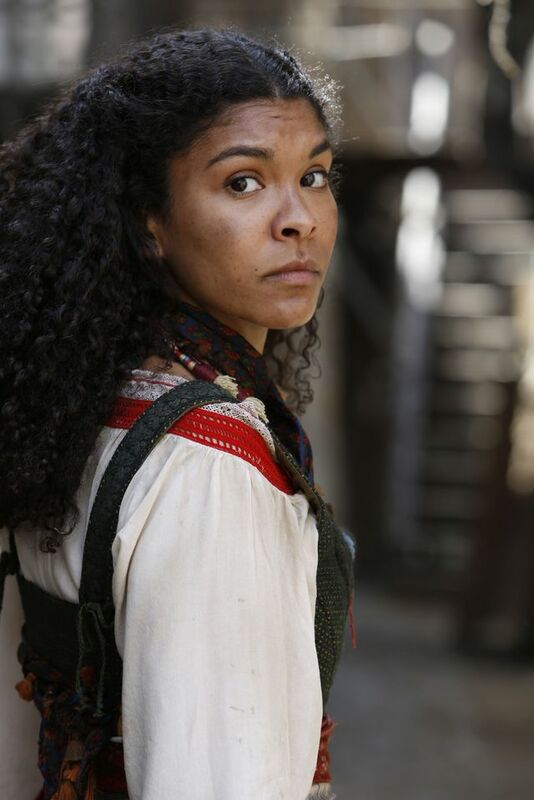 Spirited refugee Sylvie catches Athos’ attention and he vows to prove her friends’ innocence – but is he wise to trust her? 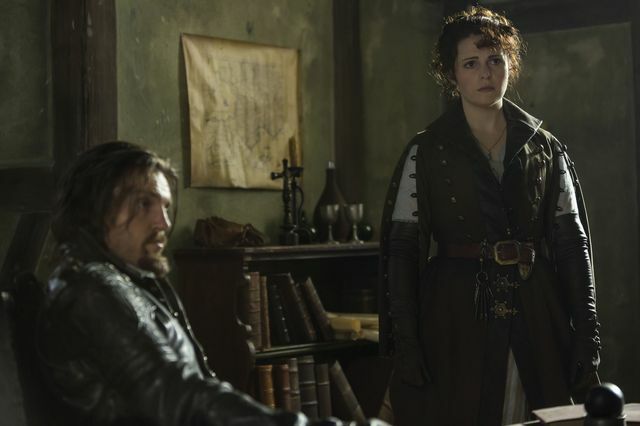 With a spy in their midst, can the musketeers break the conspirators’ grip on Paris before the refugees hang?